It’s getting harder and harder to build a successful business. Everyone has access to great marketing tools, social media has helped to level the playing field for the one wo/man bands and small teams meaning there's more and more competition to deal with along with an awful lot of marketing noise, which means it's getting harder to stand out from the crown, without employing expensive professional help. Probably our biggest disadvantage is that we're first and foremost healthcare professional, and most of us are extremely uncomfortable marketing and promoting ourselves. But what might seem our greatest weakness, can actually be turned into our greatest marketing strength. In this article I'll show you a way of marketing and promoting yourself and your business, without ever feeling that you’re selling yourself. I'll explain how to do it and why it can be so effective at increasing traffic to your website, growing your social media following, building your authority and credibility, expanding your marketing reach, finding new patients and strengthening your relationship with your existing customers, all geared towards turning these people into paying customers. Plus if you take our Marketing Grader questionnaire (which takes no more than 3 minutes), you'll receive a customised series of emails, personalised to your marketing situation, showing you exactly where you can best prioritise your marketing efforts (and you'll also be invited to join our closed Facebook Group Business Success for Therapists). If you want a nice, professionally designed version of this article you can access the PDF at this link. If we want (and need) more clients, let’s just go and get them. Thanks to the stratospheric growth of the internet and the ‘cloud’ we have access to some amazing “software as a service” platforms at incredibly affordable prices to help us run our businesses, promote our services and communicate with our clients infinitely more easily than ever before. 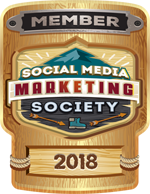 The explosion of marketing opportunities resulting from a whole range of social networks means we can get access to prospective clients without spending a dime in most cases. 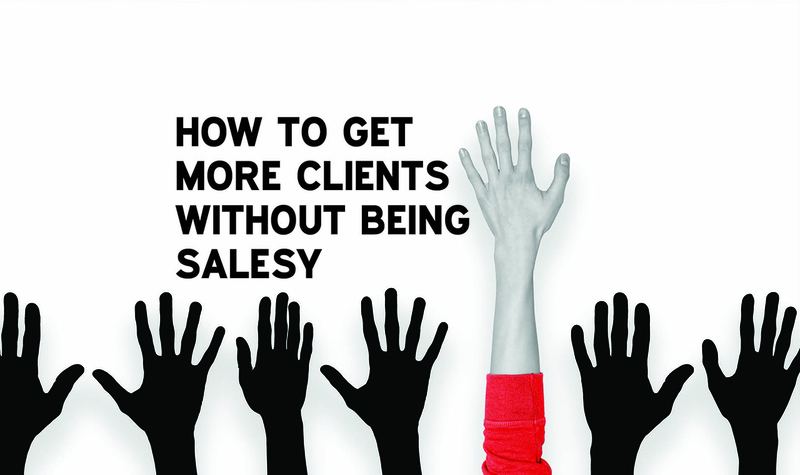 So why is it so hard to get new clients? There are seemingly hundreds of marketing gurus to help you but how do you know who to trust? And worst of all (for our businesses at least) as a professional group most of us would probably prefer to stab needles in our own eyes than to actually have to sell or promote ourselves! So unless you’re lucky enough to have a reputation that precedes you, you know you have to do something. But where do you start? There are so many resources online but how do you know what the most effective thing is that you can do? And if you can figure that bit out, how do you actually make it happen, especially if technology isn’t really your thing. How do you decide what to focus on or exactly what you want to achieve with your marketing efforts and how on earth do you stand out among all this noise? Time is precious and you want to use what little time you have, in the most effective way possible doing the things that will bring the greatest return on investment. If you run a good business, you’ll also want to be able to measure the return on the investment of your marketing efforts and you’ll want a plan so you can tweak and refine what you’re doing to get even better results. How do we achieve that Nirvana of finding the 20% of effort you need to put in, to get 80% of the reward? And how do you do it without feeling like you’re selling? As a former physio, I totally understand that cringey hatred of selling myself or my business (which let's face it, is a pretty hopeless situation when you run a business) but that understanding also gave me a MASSIVE advantage! Give you the tools and resources to help you provide existing and new customers with value with no strings attached. And I had to find a way that you could do this without you feeling like you were being salesy! In the end, the answer was surprisingly simple, "content marketing". Watch the video below for a fun animated explainer video on just how powerful content marketing can be for physical therapists. What does content marketing look like in the physical therapy world? It's easy to find educational topics to write about because there's always something in the news, or some sporting event happening, or a musculoskeletal or pain issue that is affecting a large number of people. The trouble is that creating all that content which ALSO works as part of a bigger picture strategy takes a shed-load of time, which made it totally impractical for each of you to have to replicate those efforts. But what if I could use not only my physio training, but also all my publishing expertise and resources to create those kits on your behalf? It turns out, it's the perfect solution. Step 3: Providing you with resources to help convert these email leads into paying clients. The idea was that I could do all the heavy lifting on behalf of subscribers who signed up to my marketing service. I quickly realised that I needed to apply some territory/mapping restrictions around the subscriptions, so that two people in the same town or village didn't compete against each other, but that was an easy problem to solve once I found some great international franchise mapping software. And that's where we're at now. Every campaign kit is packed full of educational resources, things that add value to your prospective customers' lives. This could be printable patient advice leaflets, or injury prevention check lists, or images with information that help people treat and manage pain, or explainer videos - we create all sorts of stuff. So how is all this content going to help you? Google, Facebook and YouTube (which Google owns) are the three biggest websites in the world, and they are in a war to get our attention which means 2017 (and probably the next couple of years) will be the years of video. There’s a great article in the further reading section on this topic but in a nutshell, because Google and Facebook are so driven to dominate web traffic, and working incredibly hard to take control in this area) they’re both pushing video VERY HARD. Which is why if you feature video on your social networks and website, it’s an instant ticket to A LOT more traffic than you would get without it, not to mention all the other benefits video offers. Which is why every kit we create includes at least 3 or 4 videos. The idea is that you can add these to your website, blog or social networks. Once people are on your site you can add a ‘call to action’ such as offering a download of a newsletter or patient leaflet in exchange for them giving you their email address. This then helps to grow your marketing opportunities. Our upcoming article will cover how to make social media pay by converting engaged followers into paying customers. The real beauty of content marketing for us as a professional group, with our particular phobia about self promotion, is that you’re not having to do any selling. You’re simply offering value or as the definition said: “instead of pitching your products or services, you are providing truly relevant and useful content to your prospects and customers to help them solve their issues.” In return you’re boosting your website profile, increasing visitors to your site, making yourself more “findable” through the search engines, building your reputation and authority, strengthening your relationships with your existing clients and helping people. So if there is one single marketing approach we can adopt without wanting to cringe, this one by far offers the greatest benefits for the least amount of effort. Complete our Marketing Grader Education Survey and we'll send you a series of 8 emails in priority order, giving you a tried and tested marketing strategy, and packed full of practical tips and tricks to show you how to do everything on a shoe-string budget. The survey takes on average less than 3 minutes to complete and has been described as an 'amazing resource, which I can't believe you provide for free'.